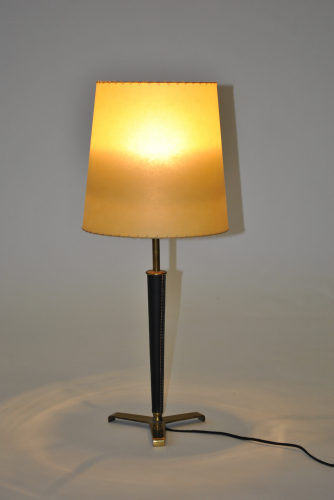 Brass and leather desk / table lamp with an original parchment lampshade. Very good condition and beautifully made. In the style of Jacques Adnet but probably Spanish.